Video camera remote pan / tilt heads. This is one of the most widely used remote pan/tilt heads in the video world, and its straightforward, high-quality construction make it the perfect affordable solution for professionals and beginners alike. We have hundreds of customers still using their heads from the early 2000s, and we’re able to service them because we’ve kept all the parts interchangeable/upgradable, and we do it all in-house. Handles Cameras up to 25lbs. 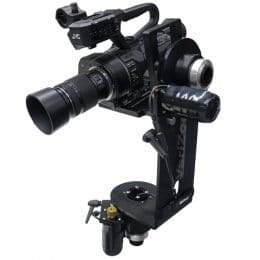 This camera crane remote head is compatible with most cranes and jibs. Weighs under 9 lbs. Smooth Swiss-motor analog performance. Independent Speed, Direction and Motor-kill controls for pan and tilt. 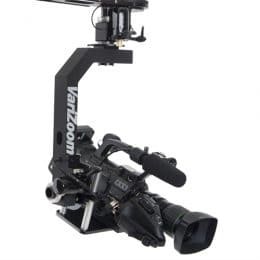 This camera crane remote head system is constructed with aluminum and stainless steel. Order the VariZoom MC100 and expand your shooting capabilities today.